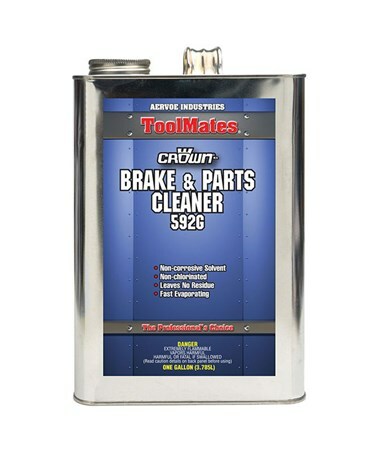 Formulated for improving brake performance and eliminating brake squeal, the Aervoe ToolMates Brake and Parts Cleaner (2-Pack) is a high-pressure cleaner that is quick drying and cleans without leaving any residue. 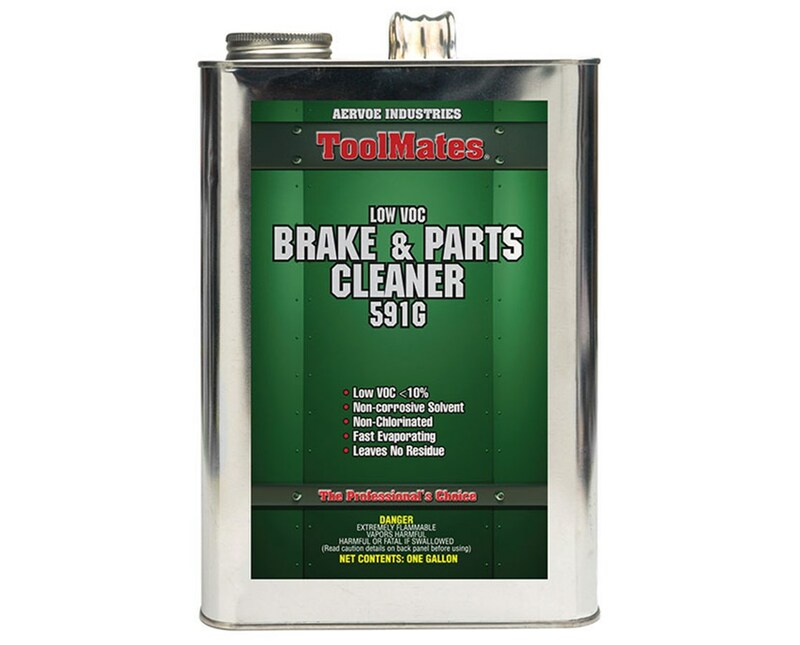 It removes oil, grease, wax, dirt, and moisture from brake drums, linings, and pads. It has excellent wetting properties that can deeply penetrate even hard-to-reach areas. This automotive brake cleaner by Aervoe comes in low VOC (Volatile Organic Compound) variation and complies with CARB (California Air Resources Board) and SCAQMD (South Coast Air Quality Management District) specifications. Its non-chlorinated and non-corrosive formula can also be used as a general-purpose cleaner for tools, bearings, chains, disks, calipers, and other related equipment. The Aervoe ToolMates Brake and Parts Cleaner (2-Pack) comes in one-gallon screw top can and can be conveniently applied using a clean cloth or sprayer. It is sold by case and includes two cans of clear, non-foaming liquid cleaner. It is covered by a one-year manufacturer’s warranty for guaranteed effectiveness and long-lasting service. The Aervoe ToolMates Brake and Parts Cleaner (2-Pack) comes in two VOC content options to provide solution to most industrial cleaning needs. Please select your preference from the menu above. Miscellaneous Never use on energized equipment or open electrical connections.